Here, it is supposed that you read the previous article on the subject and are ready for more. The official goal is give tricks to make slicker and more reliable filters. 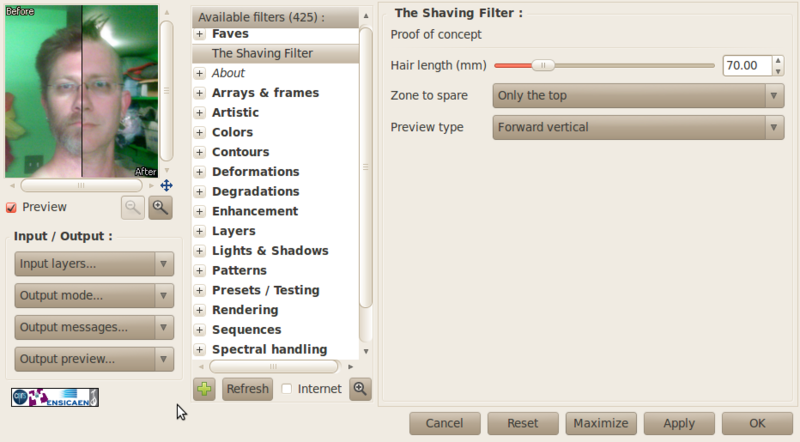 embed your filter command inside the -gimp_split_preview command. As a user, if you have several layers and want to apply the filter above on each of them, you might feel natural to just set the Input layer option to All and proceed. But with the filter as it is right now, you won’t get the expected result. This is because the -gimp_pencilbw and the -compose_multiply commands are applied on every layers without discernment. To address this issue, one solution is to create a loop inside which, each layer is considered one by one. The variable @# returns the number of layers. If you have 3 layers the code inside the loop will be run 3 times. The variable ~> is the counter telling you how many times the loop has been run so far. So, for 3 layers, it takes successively the values 0,1,2. Only one layer enter the “-local[~>] ... -endlocal” block, and inside that block, it is considered as being number . So put the first one at the top of your .gmic file and the second one at the bottom and things are sorted out. it allows to (almost) effortlessly apply on a large set of images what you just did graphically. Anything said below supposes that you run some kind of linux, but the spirit of it apply under other OS too. 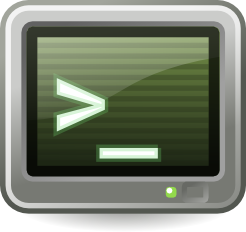 1-How to get the command lines? To have the plug-in tells you what you do graphically in the command line language, you just have to start Gimp from a terminal and to set it to “verbose mode”. To set it to “verbose mode”, once you have open the plug-in, set the “ouput messages…” menu on the left to “Verbose”. From now on, you’ll see text appearing in the terminal each time G’mic adapt the preview to your new setting and each time you apply a filter on your image. Two kind of lines appear in the terminal. The ones telling what command is used to create the preview (containing the /preview/ sequence) and the ones telling what command is really applied on the picture (containing the /apply/ sequence). You are probably only interested in the last kind. tells that the command called was gimp_mix_rgb and all the numbers behind correspond to the settings. 3-What to do with it? Your processed image will be displayed, but not saved.